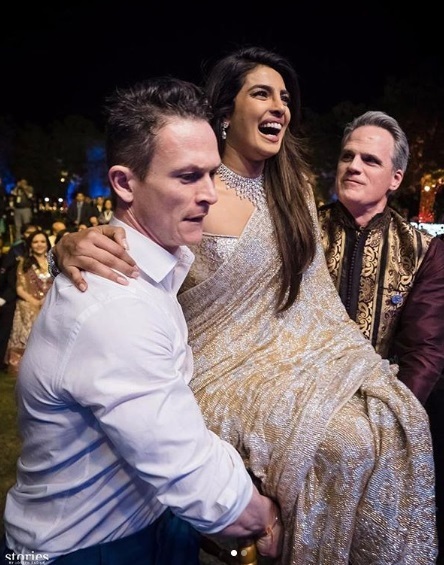 Priyanka Chopra’s sangeet ceremony will be remembered for lifetime by her sasural waale’s for it’s extravagant celebrations. Desi girl aab pardesi hogai, being so dramatic, lol! 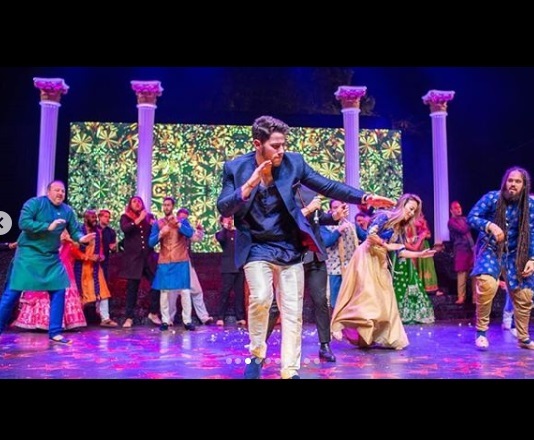 Remember, we told you that Nick Jonas performed on a Hindi dance number on Gallan Goodiyan from PeeCee’s Dil Dhadakne Do movie? 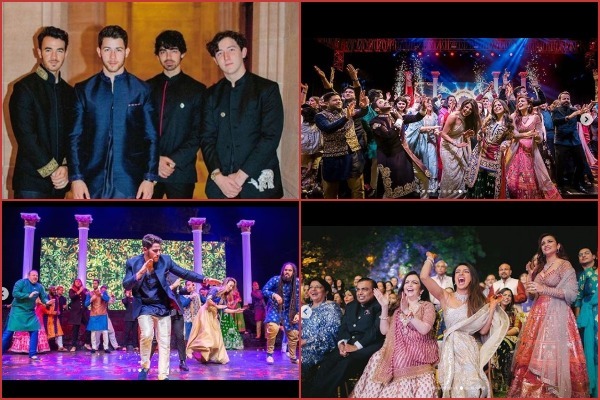 Here comes all the inside energetic dance videos and happy pictures from Priyanka Chopra-Nick Jonas’ sangeet ceremony. 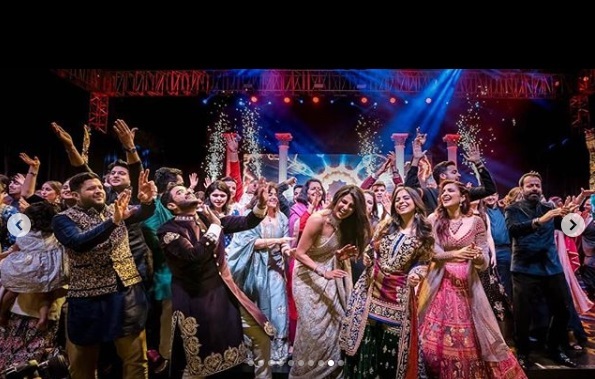 Nickyanka’s sangeet started with two families competing with each other over dance floor and ended with a huge celebration of love. 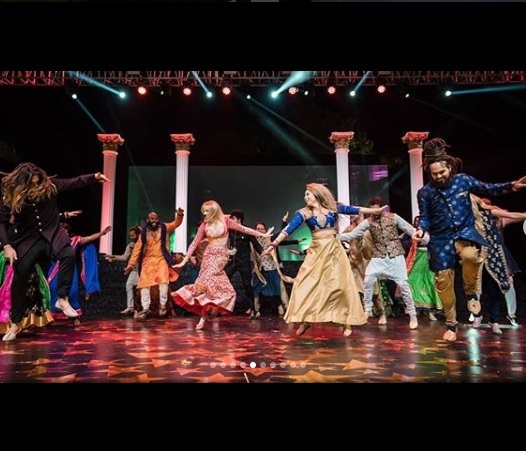 Joe Jonas’ singing performance to Sophie Turner’s dance on Bollywood song to Priyanka and her mom Madhu Chopra’s duet performance, Priyanka and Nick’ sangeet was out of world celebration. 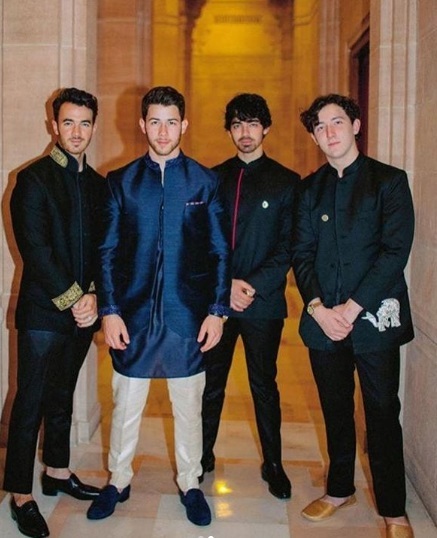 The picture of Jonas brothers in Abu Jani – Sandeep Khosla’s traditional Indian outfits for the sangeet is breaking the internet. Nick, Kevin, Joe and Franklin posed together in the picture. Fans are going gaga over Sophie Turner’s red desi outfit at Priyanka’s sangeet. 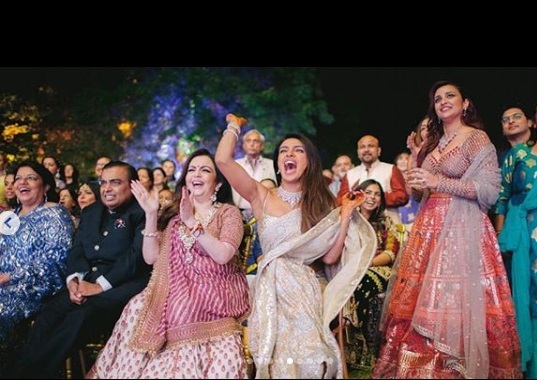 Ambani’s too are spotted taking front row and cheering up alongside bride Priyanka Chopra. 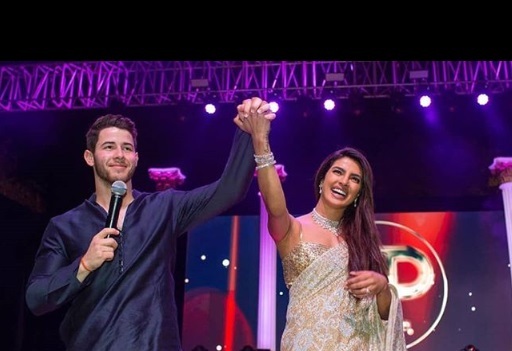 After posting pictures from her mehendi function on Saturday, Priyanka and Nick shared a video and inside pictures from their grand sangeet ceremony. 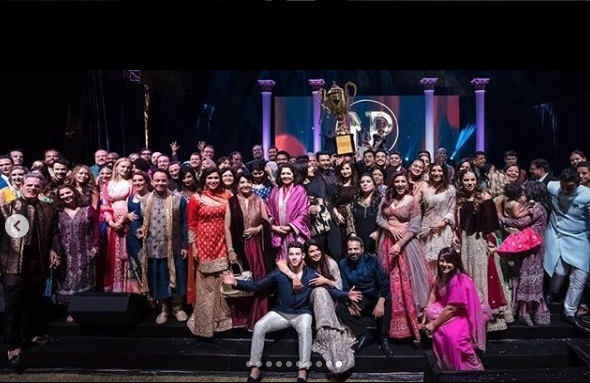 She captioned the post, “It all began as a fierce song & dance competition between the families but ended, as always, as a huge celebration of love. Nick and I were looking forward to the Sangeet (musical evening), another pre wedding ritual.. and to see what each side had put together. Priyanka kept her sangeet look simple yet charming. She wore Abu Jani – Sandeep Khosla embroidered sequins saree in gold and silver with a delicate diamond necklace and side-swept tresses. Whereas groom Nick Jonas slided in midnight blue sherwani with silk thread detailing. We cannot get over how grand and beautiful #Nickyanka’s sangeet night looks. 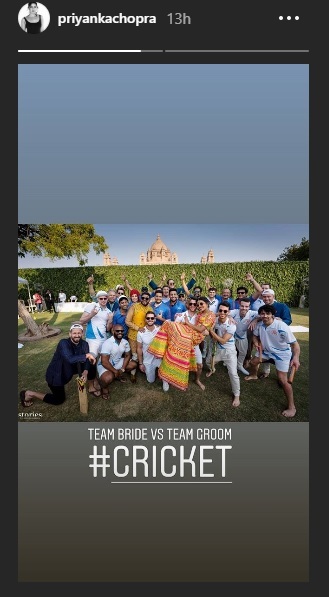 Subscribe with Eventznu and Follow us on Facebook as more pictures and videos from #Nickyanka’s wedding of the year grand will roll on.